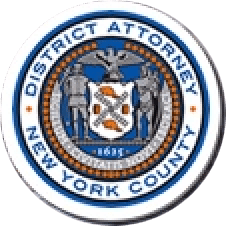 Manhattan District Attorney Cyrus R. Vance, Jr. today announced the sentencing of MIGUEL ABARENTOS, 30, to 20 years-to-life in prison for the 2012 murder of his elderly employer inside the victim’s Murray Hill apartment. On December 19, 2017, the defendant pleaded guilty in New York State Supreme Court to the sole count in the indictment against him: Murder in the Second Degree. According to court documents, statements made on the record in court, and the defendant’s guilty plea, ABARENTOS was employed by the victim, 87-year-old Thawerdas Sadhwani, beginning in October 2012. ABARENTOS was initially hired to work for Mr. Sadhwani’s business, but occasionally assisted him on the weekends with errands and household tasks. On December 15, 2012, ABARENTOS entered the victim’s apartment on East 36th Street and beat him to death with a metal chair and ceramic lamp. The defendant struck Mr. Sadhwani with such force that the lamp shattered, and the impact of further assault with other objects crushed his neck and broke his nose. Later that day, ABARENTOS went to an internet café in Queens. While inside the café, he sent a Facebook message to a friend stating that he had just killed someone and needed to go home. The next day, ABARENTOS boarded a flight to the Philippines at John F. Kennedy International Airport. On the following morning, the victim’s housekeeper was unable to enter the apartment and called building staff, who unlocked the door and discovered Sadhwani’s body. On June 20, 2016, ABARENTOS was arrested in Makati, Philippines, and extradited to the United States. Assistant D.A. Maxine Rosenthal, Senior Trial Counsel, handled the prosecution of the case, under the supervision of Assistant D.A. Lanita Hobbs, Chief of Trial Bureau 80, and Executive Assistant D.A. John Irwin, Chief of the Trial Division. District Attorney Vance thanked the U.S. Department of Justice, specifically Attaché Donald D. Ashley, and members of the NYPD, including Detective Annamarie Bernagozzi of the Detective Bureau Central Investigation Division, and Detective Jose Flores of the Manhattan South Homicide Squad.